The long history of “Ispida” is documented as far back as 1150 in an edit of Pope Eugene the 3rd. In this document the Pope confirms the Augustine monastic order as the rightful owner of the hill and the church dedicated to St. Mary of Ispida. The Monastery of Lispida, built in this secluded and tranquil spot, has always boasted an enchanting atmosphere; its soil is also fertile, proving ideal for vines and olive groves. Lispida’s life as a monastery comes to end in 1792. The property was then bought by the earls Corinaldi, who built the buildings we now see on the foundations of the ancient monastery. The new owners also added the massive wine-cellars and began producing wines renowned throughout Europe. 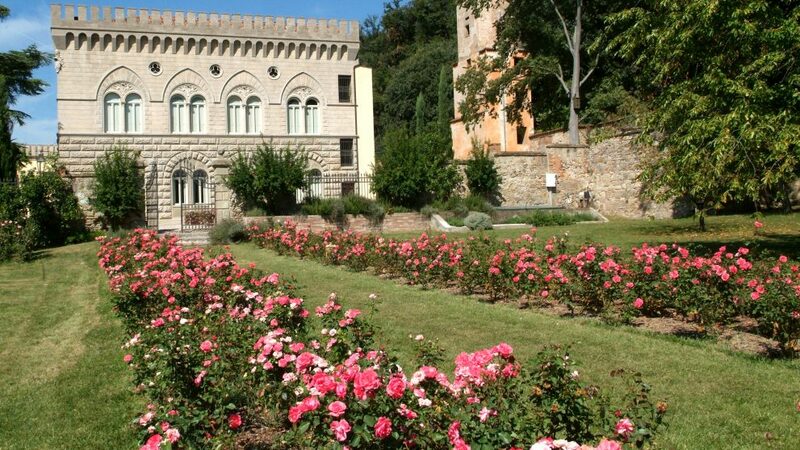 During World War I Lispida Castle became King Vittorio Emanuele’s headquarters. Towards the end of the 50’s, the castle’s wine-making activity was given a new lease of life by planting new vines and working to develop and conserve pre-industrial wine-making methods.